"We have been very pleased with the convenience, efficiency and customer satisfaction with the 600 model and decided that the 450 model would provide the same for our Nimbus Model Coach," said Greg Amys, Foretravel president and CEO. "We are very pleased with the product and the response from Aqua-Hot. Our customers have been very satisfied with the performance of the 600 model." The self-contained Aqua-Hot 450 is able to use power from three different sources: recycled heat from the engine while driving, shore power when available and diesel fuel anytime. Providing an unlimited supply of on-demand, hot water, the convenient Aqua-Hot 450 eliminates the need for a storage tank and can generate up to 90 gallons of hot water an hour. Since 1967, Foretravel Motorcoach has crafted exceptional motorcoaches using technological innovation to develop luxurious comfort and styling. 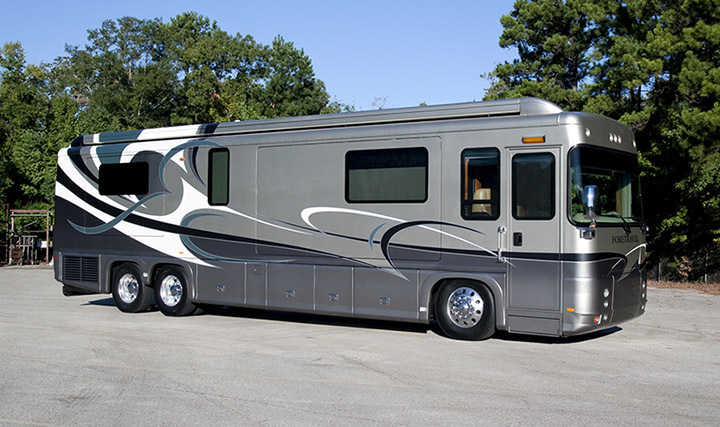 For over 40 years, the company has been an industry trendsetter and finest producer of luxury motorcoaches. For over 25 years, Aqua-Hot Heating Systems has been delivering state-of-the-art systems that provide continuous hot water, uniform cabin heat and engine preheating to an RVers' home-away-from-home. Aqua-Hot's systems make the road a more comfortable place.